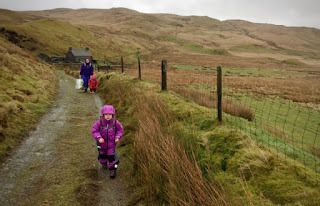 It's been a long time coming but following the girls' foray into bikepacking, we broke new ground at the weekend with a trip to a bothy in Mid-Wales with our girls Ruth (4) and Rhoda (2). What an experience! It's something we want to share. The term originates in Gaelic and these days a bothy is generally taken to refer to a shelter (often in the way of old crofters' cottages or estate huts) in a wild place, which is available for the use of passing travellers. 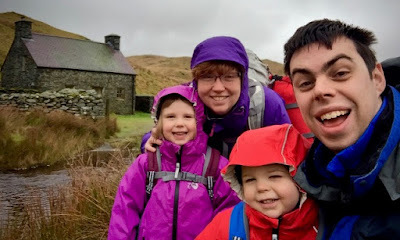 The vast majority are in Scotland but there are a few in Northern England and in Wales, lots of which are cared for by the Mountain Bothy Association. 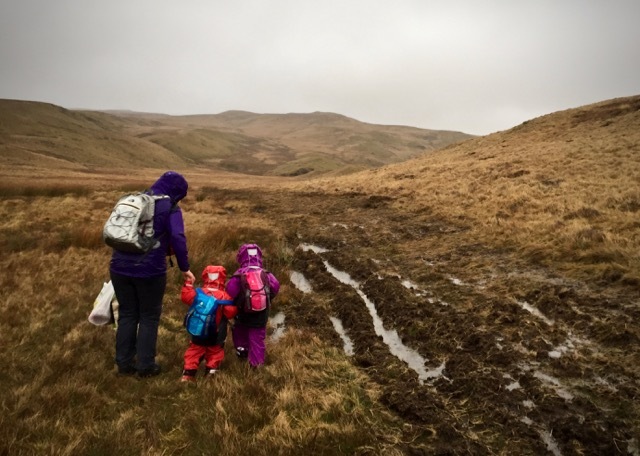 We visited one of two belonging to the Elan Valley Trust. So many opportunities to do things in the wilds actually come at a cost. Even campsite prices seem to be rising steadily, often calculated in such a way as to penalise families travelling light and bright, who aren't turning up with a Chelsea tractor, a tent the size of Belgium, more Christmas lights than Oxford Street and a shrunk down, folding and ultimately dismal version of every appliance and item of furniture found in their home. You've got to get to your chosen bothy, but that goes for any outing. You've got to eat and keep warm, but you'd have to do that at home. Fundamentally, using a bothy needn't cost you anything. How many forms of under cover accommodation can claim that? 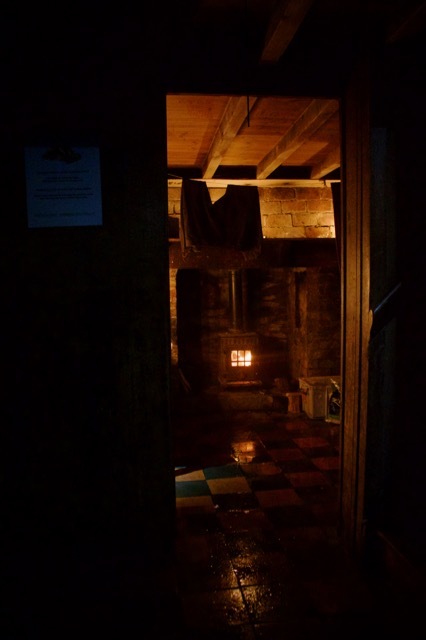 Not only are bothies free to use, they're a reliable place to stay the night - particularly at a time of year when campsites are closed and the weather even less dependable than normal. Just be prepared to share with whoever has had the same idea as you! 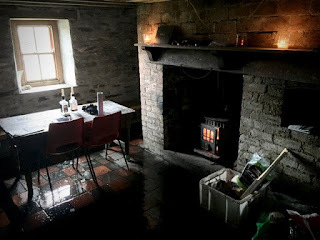 We had the bothy to ourselves on a Saturday night, and judging by entries in the 'bothy book' it looked like most visitors had enjoyed a similar stay, but we reckon you could have slept twenty in the bothy we visited, without trouble. 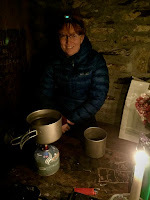 Of course, you might find a bothy equally welcoming and useful as a lunch stop during a day in the wild. I've always reckoned that the best adventures begin with map sheets spread across the lounge floor, or multiple browser tabs open on the computer, at least one of which is Google maps telling you the distance from your home to somewhere exciting. A very distinct part of bothying is that the onus is on you to find them, not only when you go, but beforehand! Locations used to be protected by almost masonic-like secrecy, but no longer! Nevertheless there's still a school of thought that says that these wonderful places should be kept for those who will cherish them. If you want to try this bothying lark badly enough, and take the trouble to do some basic research online, you'll find all the information you need for a wonderful adventure. Then, you just need to decide how you're going to get there! For a first trip, we would recommend choosing somewhere relatively low-risk - some bothies are surprisingly close to public roads - and be sure before you set out that you have the tools and skills to navigate to your destination. 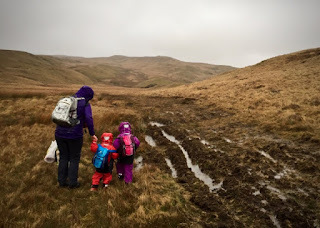 It's always great to discover a new activity for which you (not to mention the children) don't need to go out and buy a load of stuff up front. The great news is, if you camp as a family, you already have what you need - you just leave the tent at home and throw in a few candles instead. Boom. For us, that's a significant weight saving on our bikes. Ruth and Rhoda took the opportunity to test out their new Alpkit 'Cloud Covers' which reduced the bulk still further. 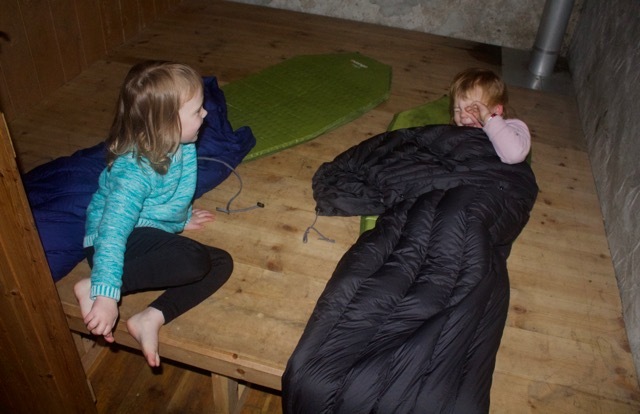 There are a few consumables to consider, but the equipment you'll want, you are sure to already own and be familiar with if you camp as a family, with or without bikes. With a bit of research you can get an idea as to whether you will want to take fuel with you for heat. Some bothies have a ready supply of wood nearby, but by no means all. We chose a bothy which we could get relatively close to with the car, so took in a 10kg bag of coal as insurance. It turned out we didn't need it and as a result, subsequent visitors will get a pleasant surprise and a warm night, too! We can't promise that the bothy you visit won't be draughty. We won't tell you that the night won't be a cold one, and getting there will be an adventure in itself, and subject to the great outdoors, but four walls and a roof is a major game-changer when the weather is marginal - or downright awful. We went all-out to test this theory by going to Wales in February, in the back end of the mighty storm 'Doris', with a forecast for it to blow a hoolie and persist with rain. Camping would have been miserable. Anything else would have been too urban and too expensive. The bothy was brilliant. 6. Peace and quiet - remember that? Mrs Large (the elephant) should have visited a bothy - although the book might well have ended up being called 'We're going on a bothy hunt'. If you want solitude, you will find it in the back end of nowhere, especially at times when others are dissuaded from going there. 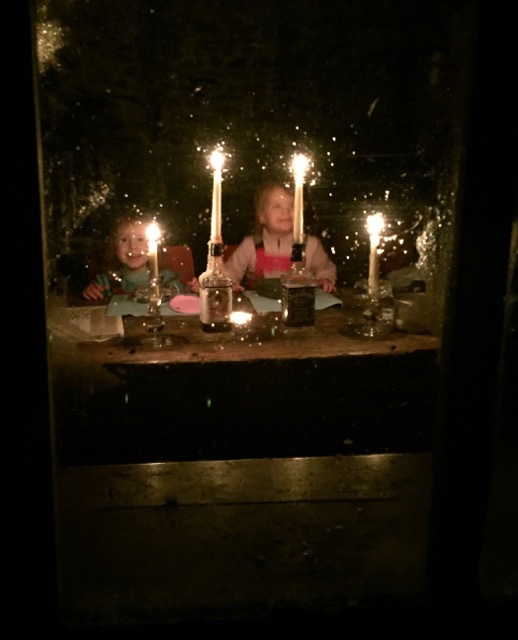 One of the main rewards for the schlep to a remote bothy is getting away from it all. To step outside your front door at a time when the world is still busy, and to see - and hear - absolutely nothing artificial, is priceless to us. We put the girls to bed and sat with a roaring fire on, totally undisturbed, before retiring for the night without having to lock up. How often do you stay somewhere that is a destination in itself? Every bothy is different, not just in setting and geographical location, but the structures themselves, the rudimentary facilities they offer, and indeed the fellow travellers you may meet there. There is a bothy to suit every taste - some are little more than a hut, a few have toilets and running water. Some are many miles from the nearest road, set in rugged mountains or on desolate moorland; others enjoy their own beach and view of the coast, and a good few are accessible to adventurous families. Where to find your first bothy, then? Well, that's easier than it used to be. 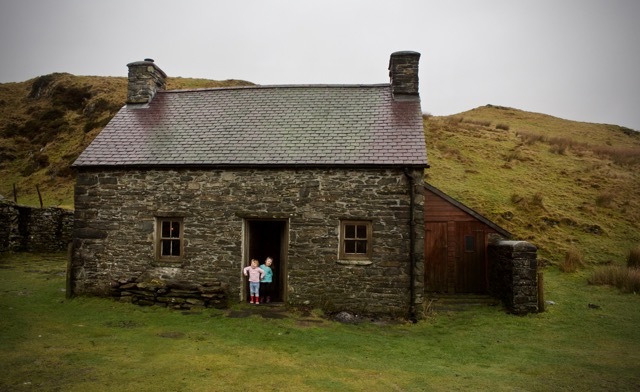 The Mountain Bothy Association decided not so long ago to start publishing the locations of their bothies, and some super books have emerged in recent times. We really like "The Scottish Bothy Bible" by Geoff Allan (review coming up! ), and an enchanting film from Alastair Humphreys which our children have loved for some time. We're already looking for an opportunity to go bothying again, with our bikes and Ruth's new bikepacking setup. We've been tipped off about one or two interesting options in Scotland. Be sure to bookmark our blog and follow us on social media to find out more, and if you've got a question, or you've got a bothying story to share, please do so in the comments below!